ANAHEIM, CA - (August 4, 2015) - Two free concerts will be held at the Pearson Park Amphitheatre this month, featuring music the entire family will enjoy. All are welcome to attend the free shows, including free parking. Saturday, August 8 – an Elton John Tribute Band starring Kenny Metcalf as Elton and the “Early Years Band” will perform. Saturday, August 15 - “Santana Ways” The Ultimate Santana Tribute Band will take the stage. 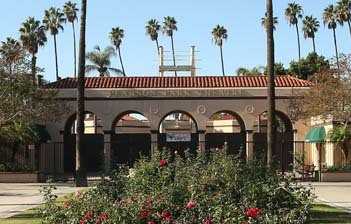 Pearson Park Amphitheatre is located at 401 N. Lemon Street, Anaheim, CA 92805. Doors will open at 6:00 p.m. with first come, first served; stadium seating and the shows will begin at 7:30 p.m. Plenty of free parking is around the park and in the parking lot located on the corner Anaheim Blvd and Cypress Street. A concession stand will be open and a beer and wine garden will be available. No outside food or beverages are permitted in the Amphitheatre. For more information visit www.anaheim.net/pearsontheatre or call (714) 765-5191.